How do women understand their role in the church? What are the church’s growing edges when it comes to the role of women? How can women place their gifts at the service of the people of God? 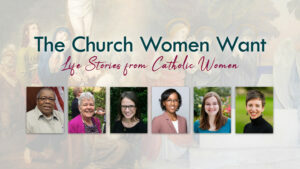 In honor of Women’s History Month, join us for an evening of conversation and story-telling from a diverse group of six Catholic women.